It’s what we ask when we pick up the phone, or when we greet a friend. Today is January 1, 2016 and it’s an appropriate question to begin this new year. I’m not going to bore you with the details except to tell you that it’s been a long time coming. Led Zeppelin released an album years ago entitled, The Song Remains The Same. As I was preparing for today’s show I thought of that song and record. And I also thought of the phrase, “The more things change, the more they stay the same.” The notion is that rarely do things fundamentally change so much. The status quo can be tough to alter. As a man in search of an epiphany I’ve been fortunate to have a few. Not many, but a few. Last year I had a couple of them. One was that my lifetime spent building successful businesses prepared me to serve a bigger number of people than I first thought years ago when I began a side project of helping business owners grow their businesses. The other one was my personal style – the essence of who I am and what I do, coupled with how I do it – is just in my DNA and it’s ridiculous to do anything other than own it. Neither of those was a first time epiphany. I had thought of those things before, but in 2015 I gave them deeper thought than maybe ever before. I made up my mind to wrap my arms around both of these things, embrace them more fully than I ever had before. I’m a business guy. I’ve always been a business guy. It’s not a one-dimensional thing because the world of commerce is filled with a variety of characters, styles, approaches, experiences and skills. For every person who is animated and loud there are others who speak softly and behave in utter tranquility. There are blue jean wearing CEO’s and those who prefer custom order Brooks Brother suits. Some CEO’s drive only BMW’s and others opt for a pick-up truck. Business people don’t fit in a one-size-fits-all category. It’s part of the fun and allure of business. At least it is for me. And always has been. I’ve spent most of my adult life running luxury retailing companies. Living with the daily pressures of business building is how I’ve lived most of my life since I was first given the opportunity to lead an organization. I know what it is to make payroll, manage an advertising budget, find ways to shave down costs, negotiate long-term leases, buy trucks, hire talent, train that talent and handle the occasional problem that erupts when you discover employee theft, or when you’ve got to make a management change, or when an employee suddenly dies. That variety of issues makes business building among the most exciting things anybody could ever do. The more things change, the more they stay the same means that I decided last fall it might be time to get back to my roots — even though I’m still well on my way to reinvention and growth, personal and professional. It’s a complete sentence. It’s action oriented with a strong, powerful verb: GROW. But it’s focused on a specific goal that’s positive. Some people are growing lazy, fat, complacent, depressed, cynical…and lots of other negative things. Our world is filled with that kind of growth. Instead, I chose a word that isn’t limited to any specific aspect of personal or professional growth. It transcends business and morphs over into our every day lives with our friends and family. It applies to the CEO who heads up a non-profit or the City Manager who operates a multi-million dollar civic budget. Maybe it seems beyond the reach of many, but I don’t think it is. I think everybody has it within their own grasp if they could just see it for what it is – possible – and if they could tap into learning a new things or two. The object of our growth? Greatness. One big change is the podcast. The name. The focus. Even the format. Lest you think it has no application to everybody I serve – CEO’s, business owners, executives or city government leaders – consider YOU as a business. YOU are a business. The non-profit you run needs patrons and supporters. You could view them as vendors. You serve a cause or a group of people. They’re your customers. All the stuff you do to manage the work, or lead the people — that can be the stuff that drives you crazy if you’re not careful or skillful. Ditto for anybody leading a city government. We all have to serve people, find ways to do it better and we need to find better ways to do it without losing our minds, or our personal lives. Every organization I know of has problems. Every problem I’ve ever seen has one or more elements of these trifecta issues. Every problem. I don’t care if we’re talking about sales, marketing, improving processes, investing in new resources, handling personnel problems…every single problem can fit into one or more of these categories. Every problem you face will fit into these, too. Your career challenges fit into these. You need or want a new job or opportunity (new customers needed). You need to be more promotable or advance to a bigger role (serving existing customers better). You hate what you’re doing and you’re thinking of doing something completely different (you’re trying to avoid going crazy). Here’s how Wikipedia defines “business” — a business, also known as an enterprise or a firm, is an organization involved in the provision of goods, services, or both to consumers. It could be YOU. It could be whatever organization you’re part of. Non-profit. Civic. For profit. Big. Small. Medium. Ten thousand employees. A solopreneur. 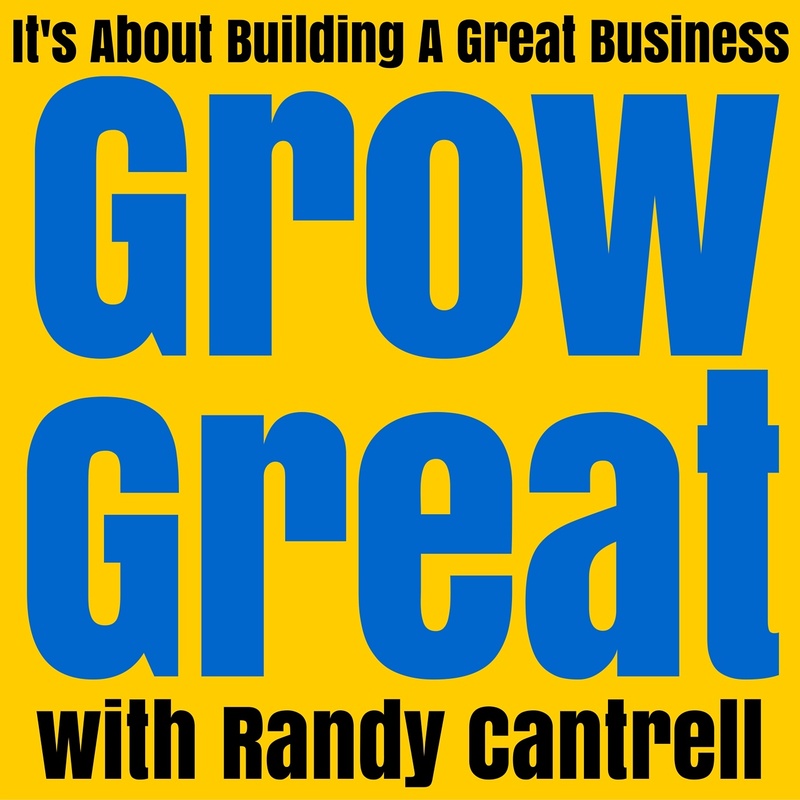 The podcast will focus on the trifecta of business building. It’ll contain information designed to help you grow your career and your business. Growth. That’s the objective. Targeted growth. Greatness. That’s what we want to accomplish. I’ll leave it to you to define that for yourself. Some would think it’s great to break 6-figures in personal income. Others would think greatness is defined by being able to sell an enterprise for 9 or 10 figures. I’ve really only got three caveats to growing great — sustainable, predictable and improving. Sustainable means it’s getting stronger over time. Day after day it’s getting better. It’s supporting itself. It’s not robbing Peter to pay Paul. It’s not living on debt. It’s self-supporting financially and it’s also fueling its own growth. Predictable means you can calculate and strategize a degree of growth. There are actions you can take to bring about the desired results. It’s not a game of chance. It doesn’t rely on luck or happenstance. Instead, it hinges on putting the right processes and people in place to get the work accomplished. Improving means it’s not going backward or standing still. It’s moving forward, advancing. Week after week, month after month, year after year — it’s getting better and better. 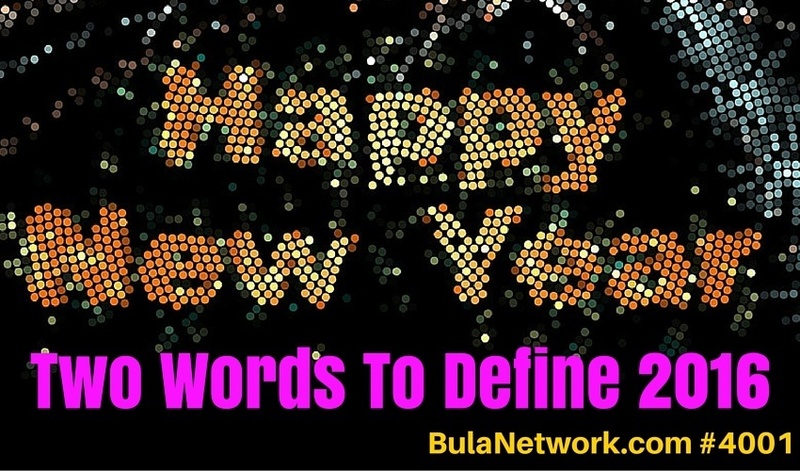 I’m going to take my own enterprise – Bula Network, LLC – to new, higher levels. Two years focused on only executive and leadership coaching left me knowing how good that fit me, and my life goals. It also taught me that my roots of business building don’t need to be sacrificed. I learned how congruent my skills and experience are. My value in helping executives and leaders is largely based on my vast experiences in building great businesses. There’s just no separating them…not if I want to provide the highest value possible. And I do. My business consulting will go back to the roots of where it all began – helping business owners and business leaders grow their business. And that’s what I mean by the more things change, the more they stay the same. A new day. A new year. The old skills that have proven so successful throughout my life are going to be put to good use to serve people just like YOU. As an experienced business builder and leader I don’t feel better than you. Certainly not more important. However, my responsibilities are different. So are my urgings. When I sit across the table from a 35 year old leader or emerging leader it’s easy for me to remember my own life. I’ve been there. I know well how it feels and what the hurdles are. Because I’m just a few steps further up the path I’m able to work with such leaders and warn them of the potholes that may lay ahead. I can also help spot opportunities that often go unrecognized because the years and experiences have taught me to hone my real-time vision of both problems and opportunities. My clients need to benefit from my experiences. Truth is, the podcast listeners benefit from it, too. The two words to define this year are the title of the new show – Grow Great. This is about the 4th iteration of this podcast, which is why I started with a 4000 series number. It’s a new beginning. In every way. For you longtime listeners I hope you’ll stick with me. For new listeners I hope you find remarkable value and become faithful listeners. My goal is to keep the shows as tight as possible. I don’t have an ideal length in mind because the subject matter needs to determine that. I am going to try to keep the episodes shorter – my aim is around 20 minutes. I’ll also try to keep each episode more focused on a single idea or action. Additionally, I’m going to make better use of tags and headlines. I know clever is what the Internet world seeks, but I’m aiming for something more. I want clarity and simplicity. I hope you’ll subscribe to the new version of the podcast. You won’t have to change a thing if you’re already subscribing. The show name will change automatically. The RSS feed is unchanged. The name and cover art will change. Otherwise, the song remains the same. Let’s make 2016 our very year ever! I aim to help you do that. Previous post: CEO Leadership: What Are You?